Malaya, 1951. Yun Ling Teoh, the scarred lone survivor of a brutal Japanese wartime camp, seeks solace among the jungle-fringed tea plantations of Cameron Highlands. There she discovers Yugiri, the only Japanese garden in Malaya, and its owner and creator, the enigmatic Aritomo, exiled former gardener of the emperor of Japan. Despite her hatred of the Japanese, Yun Ling seeks to engage Aritomo to create a garden in memory of her sister, who died in the camp. Aritomo refuses but agrees to accept Yun Ling as his apprentice "until the monsoon comes." Then she can design a garden for herself. As the months pass, Yun Ling finds herself intimately drawn to the gardener and his art, while all around them a communist guerilla war rages. 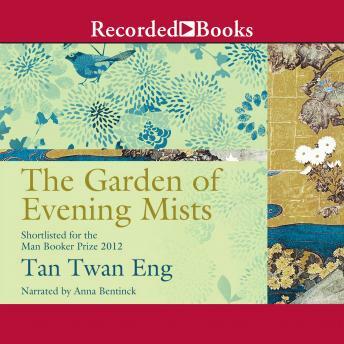 But the Garden of Evening Mists remains a place of mystery. Who is Aritomo and how did he come to leave Japan? And is the real story of how Yun Ling managed to survive the war perhaps the darkest secret of all?